1) (Hatton, co. Chester; temp. William the Conqueror. In 35 Edward I., Matilda, sole dau. and heiress of John Hatton, Esq., m. Ralph Vernon, of Shipbrooke; the Vernons held the lands of Hatton until temp. Henry IV. or V., when Petronilla, dau. and co-heir of Ralph Vernon, of Hatton, m. Hugh Dutton. 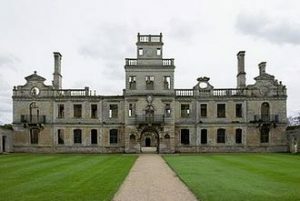 The estate was sold by Dorothy Dotton and John Massie, of Coddington, her husband, circa 1699; from Hugh Hatton, of Great Aldersey, of this family, descended Sir Christopher Hatton). Az. a chev. betw. three garbs or. Crest—A hind statant or. 2) (Viscount Hatton; created 1682, extinct in 1762). Az. a chev. betw. three garbs gu. Crest—A doe pass. or. Supporters—Two horses ar. bridled sa. Motto (sometimes inscribed on the reins “Gwillim’’)—Quid ni tandem. 3) (Long Stanton, co. Cambridge, bart., extinct 1812). Same Arms as Viscount Hatton, a mullet for diff. 4) (Finch-Hatton, Earl of Winchilsea). Quarterly, 1st and 4th, az. a chev. betw. three garbs or; 2nd and 3rd, ar. a chev. betw. three griffins pass, wings endorsed sa. Crests— 1st: A griffin pass, segreant sa. ; 2nd; A pegasus courant ar. winged, maned, and hoofed or, ducally gorged of the last. Supporters—Dexter, a pegasus ar. wings, mane, and hoofs or, ducally gorged of the last; sinister, a griffin, wings endorsed sa. ducally gorged or. Mottoes—Nil conscire sibi; Virtus tutissima cassis. 5) (cos. Cambridge, Chester, Gloucester, and Northampton, Shrewsbury, co. Salop, and Harringham, co. Warwick). Az. a chev. betw. three garbs or. Crest—A hawk close ar. holding in the beak an ear of wheat or. Another Crest—A hind trippant or. 6) (Cambridge). Ar. three hurts each charged with a bend of the first, on a chief vert an eagle displ. or. 7) (London). Same Arms. Crest—A demi bear ramp. sa. 8) (Holderness). Erm. six mascles gu. three, two, and one. 9) (co. Northampton). Sa. a cross engr. erm. within a bordure ar. Crest—A hind pass. or. 10) Quarterly, 1st, sa. a cross engr. erm. ; 2nd, az. five cinquefoils in cross ar. ; 3rd, ar. three bendlets sa. on a canton of the last a tower of the first; 4th, ar. on a chief gu three fleurs-de-lis or. 11) (Archdeacon of Ardagh. Fun. Ent. of Ven. Edward Hatton, J.P., cos. Monaghan and Fermanagh, d. 1 Oct. 1632). Az. on a chev. betw. three garbs ar. a trefoil slipped of the field betw. two mullets gu. 12) (Clonard, co. Wexford; confirmed to Villiers la Touche Hatton, Esq., Lieut. Col. in the Army, and the descendants of his great-grandfather, John Hatton, Esq., of Clonard). Az. on a chev. betw. three garbs or, an annulet gu. Crest—A hind statant or, charged with an annulet, as in the arms. Motto—Virtus tutissima cassis. 13) Sa. a chev. engr. erm. a bordure ar. 14) Sa. a cross engr. erm. 15) Ar. a bend gu. charged with three bars indented or. 16) Lozengy gu. and erm. This last name has several origin theories. First, it is an English habitational name given to a person who resided in various places named Hatton (ex. 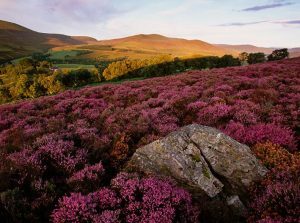 places in Derbyshire, West London, Shropshire, and Cheshire, or perhaps a village in Scotland), deriving from the Old English word hoed meaning heathland or heather (low-growing woody vegetation, or a purplish flower), and tun, meaning settlement or enclosure. Second, it could have French origins and derives from the Germanic personal (first) name Hado or Hatto, a shortened version of various compound given names starting with the word hadu (strife). Third, in Ireland and Scotland, it could be a shortened and Anglicized version of the Gaelic surname MacGiolla Chatain or MacGille Chatain. Fourth, it could be a locational name for a person from a town on the height (cliff or hill?) deriving from the word haul (high). Fifth, it could be a locational name for a person from a town in the wood, from the Dutch word houdt and ton. Sixth, it could be related to the surname Haughton, a town in the vale or meadow. Common spelling variants or names with similar etymologies include Hatun, Hattoun, Hautoun, Hattons, Hattyn, and Hattans. Fitz-Hatton is also a surname. The last name Hatton ranks 2,926th in popularity in terms in the United Status as of the 2000 Census. The name ranks particularly high in the following three states: Kentucky, Indiana, and Ohio. The surname Hatton frequency/commonness ranks as follows in the British Isles: England (833rd), Scotland (1,713th), Wales (870th), Ireland (1,368th) and Northern Ireland (2,801nd). In England, it ranks highest in Cheshire and Herefordshire. In Scotland, it ranks highest in Clackmannanshire. In Wales, it ranks highest in Monmouthshire. In Ireland, it ranks highest in Wicklow. The name is also present throughout the remainder English speaking world: Canada (3,679), New Zealand (1,576), Australia (1,379) and South Africa (4,651). John Hatton was baptized at St. Stephan’s Church in London in 1547. Jane Hatton was baptized at St. Margaret’s, Westminister several years later in 1562. George Fraser Black’s 1946 book The Surnames of Scotland states the following in regard to this last name: “(1) Local. William de Hatun who witnessed a charter by Matthew, bishop of Aberdeen, c, 1171—39 may have been an Englishman. (2) Perhaps from the Hattoun in Forfar Retours. Helen Hautoun in Nether Balnakeyth, 1593. (3) A curtailed form of (Macil)hatton, which see, current in Kintyre and adjacent parts of Argyllshire”. In his book Patronymica Britannica by Mark Antony Lower states the following in regard to this surname: “The noble family were descended from Sir Adam Hatton, of Hatton, co. Cheshire, grandson of Wulfrid, brother of Nigel, who was lord of Halton in the same county, by the gift of Hugh Lupus, Earl of Chester, soon after the Conquest”. The famous genealogist Bernard Burke’s book “The Landed Gentry” discusses one branch of this family: Hatton of Clonard. 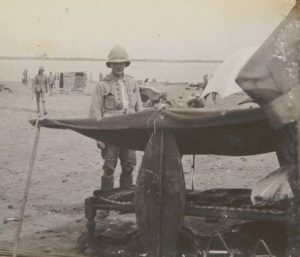 It begins with a mention of Villiers La Touche Hatton, Esquire of Clonard in county Wexford, Justice of the Peace and Deputy Lieutenant, as well as High Sheriff in 1862, and a Lieutenant Colonel in the army, member if the Grenadier Guards. He was born in 1824, and in 1850, he married Rosa Mary, only daughter of Sir William Plunkett de Bathe, and he had two sons and two daughters with her: 1) Villiers (born 1852, Lieutenant and Captain in the Grenadier Guards), 2) William de Bathe (born 1855, Lieutenant in the 78th Highlanders), Rosia Mary, and Madeline Frances. Burke traces the Hatton genealogy or ancestry back to a family who settled in Wexford. Reverend Henry Hatton, son of Christopher, was born in 1615 and he became the Arch Bishop of St. John’s Camrbridge in 1637, as well as the Prebendary of Clone in the diocese of Ferns and Leighlin in 1662. He had a son named Thomas. This Thomas Hatton was Esquire of Gorey in the same county. Around 1700, he married Editha, daughter of Thomas Richards of Rathaspec, and had had six children with her. One of his sons was named John. In 1757, this John married Elizabeth, daughter of John Wray, Esquire of Castle Wray in county Donegal by Elinor, and had five sons with her: Henry (married Lady Anne Dane Gore, daughter of Arthur, 1st Earl of Arran), William (married Elizabeth Ross and had three children with her), George, and John (a Major-General, married Annetta Hodges and had six issue with her). 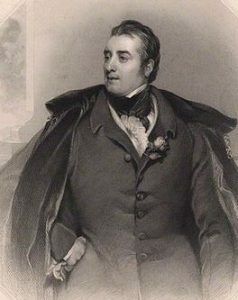 His son George was Esquire and Member of Parliament for Lisburn, and he married Lady Isabella Rachel Seymour Conway, youngest daughter of Francis, 1st Marquess of Hertford, and had a daughter (who married Baron Grumker) as well as two sons named Henry John (a commander in the British Royal Navy) and Villiers Francis Hatton Esquire of county Wexford. The latter was born in 1787 and he was a Vice Admiral, as well as a Member of Parliament for Wexford. In 1817, he married Harriet, daughter of Honorable David la Touch of Dublin, and he had three issue with her: Villiers La Touche (mentioned at the beginning of this paragraph), Cecilia (married George Baird of Stichill House), and Elizabeth Frances (married Arthur Lowry Cole). He died in 1859. The Hatton Family Crest is blazoned as follows: Azure, on a chevron between three garbs or, an annulet gules. Crest: A hind statant or, charged with an annulet as in the arms. The family bore the following motto: Virtus tutissima cassis. Other landed/noble members were 1) Christopher Hatton (1632-1705) who was an English aristocrat and diplomat who was 1st Viscount Hatton, who succeeded his father who was 1st Baron Hatton, and he was the governor of Guernsey in 1670, 2) Christopher Hatton (1605-1670) who was 1st Baron Hatton from Barking, Essex, and 3) Christopher Guy Heneage Finch-Hatton (1911-1950) who was the 15th Earl of Winchilsea and 10th Earl of Nottingham. The first known relative is Herluin II d’Amiens who was born around 890 AD. He had a son named Roger Amiens who was born in Ponthieu, Somme, France around 894 AD. He in turn had a son named Guillaume de Ponthieu who was born in Montreuil in 915 AD. He married Maud de St. Pol and they had numerous issue, including a son named Richard St. Sauveur who was born in St. Sauveur, Manche, Normandie in 880 AD. He in turn had a son named Niel who was born in 911 AD. Niel in turn had a son named Roger St. Sauver who was born in 940 AD in Saint-Sauveur, Ouilly-le-Vicomte. He married Adele Esproita DeBeitagne and they had issue. His son Niel (or Nigel III) de St. Sauveur was born in 985 AD in Seine-Maritime and he had numerous issue. His son Yves de Contentin or St. Sauver was born in 1005 AD and he had numerous issue. His son Wolfaith (or Wolfric) de Hatton (or St. Sauveur) was born in Of, Hatton, England in 1054 AD. He married Eleanor Crispin and had two sons with her: William and Wolfric. His son William was born in 1080 AD and he had a son named Robert. Robert de Hatton was born around 1115 AD and he married Eleanor Crispin and had a son with her named Adam. Adam was born around 1139 AD and he married Avice Ville with whom he had a son named Geoffrey. Geoffrey Hatton was born around 1200 AD and he married Matilda Herthull with whom he had a son named Hugh. Hugh was born around 1184 AD and he married Nichola Boydell and had a son with her named Simon. Simon Hatton was born in around 1220 AD. He married Margaret Goldborne and they had a son named Hugh. Hugh was born in 1260 AD and he married Margery Arderne and they had a son named Hugh. Hugh Hatton was born around 1295 AD and he married Margaret Stapleford with whom he had a son named John. John Hatton (or de Hatton) was born in around 1335. He married Joan Hallom and they had a son named Adam. Adam was born in 1370 AD. He had a son named Richard. 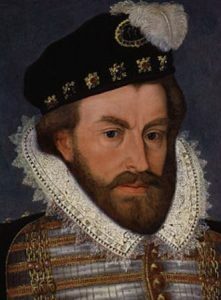 Richard de Hatton was born in Aldersey, Cheshire, England in 1415 AD. He married Elizabeth Eulowe and they had a daughter together named Catherine that married into the Booth family. A one Samuel David Hatton Sr. was born in Buckinghamshire, England in 1749. He went to the America. He married Rosanna Queen in Virginia in 1768 and had the following children with her: John, Samuel, Asa, David, William Henry, and Phillip. His son David Harvey Hatton was born in Virginia in 1781. He married Sarah Berget and they had a son named Jonah. 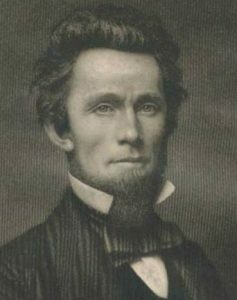 Jonah Berget Hatton was born in Hampshire, VA in 1809 and he married Sidney Minto Canterbury. They had the following issue together: March Frances (Thornhill), Lucinda C. (Culpepper), Marquis Lafayette, David Crockett Sr., Leah Ann (Sims), Liberty Lycurges, Irvin Hatton, and Emma Virginia (Goodrich). His son Marquis Lafayette Hatton was born in Missouri in 1839 and he married Elizabeth Sultanie (Anderson) with whom he had a daughter named Zora. Zora was born in 1870 and she married Travis C. Rattan and she had a daughter with him named Helen who was born in 1908 in Oklahoma. John Hatton, age 26, came aboard the Tresorer in 1613. Olive Hatton, age 32, came aboard the Abigall in 1620. 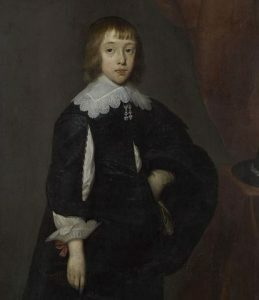 William Hatton, age 23, who came to Virginia aboard the David in 1635. Other settlers in colonial American bearing this last name include Jeffery Hatton (Virginia 1636), Jon Hatton (Virginia 1638), Thomas Hatton (Virginia 1638), Giles Hatton (1706), Alexander Hatton (1717), Lettice Hatton (Philadelphia 1729), and William Hatton (Maryland 1775). In Canada, one of the earliest bearers of this surname was Etiennette Hatton who arrived in Montreal, Quebec in 1659. In Australia, one of the earliest bearers was George Hatton, a convict from Middlesex, England who was transported to New South Wales (a penal colony at the time) aboard the Almorah in April of 1817. One of the earliest settlers in New Zealand was J. Hatton, who came to the city of Wellington aboard the Agra in 1852. Ann Hatton, wife of Thomas, was buried at St. Michael’s parish in Barbados in 1678. Charles Hatton was recorded in the parish of Christ Church in Barbados, who owned 28 acres of land and 4 slaves, in around 1680. I’ve checked three sources to find information on the Hatton genealogy and any heraldic arms they bore in America, but I was unable to find any bearers in America. There are hundreds of notable people with the Hatton surname. This page will mention a handful. Famous people with this last name include: 1) Ann Julia Hatton (1764-1838) who was an English poet from Worcester, 2) Robert Hopkins Hatton (1826-1862) who was a lawyer , congressmen in the U.S. House of Representatives for Tennessee in 1859, and a General for the Confederate States of American during the American Civil War, 3) Frank Hatton (1846-1894) who is an American politican and newspapermen that served in the Civil War and became the 32nd Post Master General of the US in 1864, 4) John Liptrot Hatton (1809-1886) who was an English composer, pianist, and singer from Liverpool, 5) Marion Hatton (1835-1905) who was a New Zealand suffragist from Preston, England, 6) Robert James Hatton (1947) who was a former English football (soccer) player from Hull, and 7) Sir Christopher Hatton (1540-1591) who was an English politician that became Lord Chancellor of England during the reign of Elizabeth I of England. The two most prominent symbols in the Hatton Coat of Arms (erroneously called the Hatton Family Crest) are the garb and the chevron. Europe in the middle ages was still a largely agrarian society, and the wealth of the nobility resided in their estates and land. Since most people still lived and worked on the land they would find farm implements instantly recognisable, (an important feature for a coat of arms), even if they seem obscure to us today. The garb for example is an ancient word for wheatsheaf, something now more frequently seen in Inn signs than in the field! I found this crest on the back of a photograph of Saturn that my grandfather had taken years ago. I’m surprised to find this much information about the Hatton family, as I wasn’t sure if I would be able to find anything at all. Thanks for the insight into my family’s history!